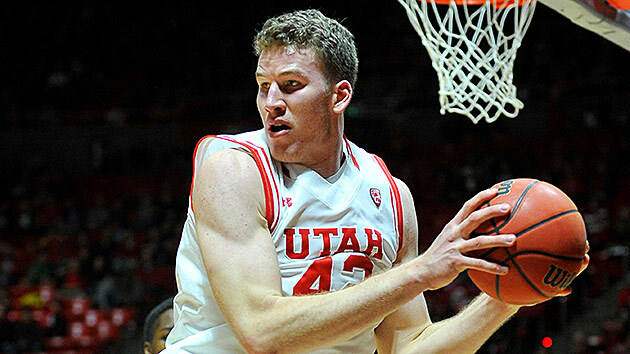 Everything you need to know about the Utah Utes as the NCAA tournament begins. The Case For: The Utes are anchored by one of the best big men in the country in the 7-foot Poeltl and they have great size up and down their roster. A pair of upperclassmen guards, senior Brandon Taylor and junior Lorenzo Bonam, balance Poeltl in Utah’s top-30 offense and few teams shoot the ball more efficiently, especially inside the arc. The Utes’ defense ranks just outside the top 50 nationally in efficiency and there isn’t a better group in the country at limiting opponent’s free-throw rate (FTA/FGA). On average, Utah’s opponents shoot fewer than one free throw for every four field-goal attempts, for a free-throw rate of 23.4%. Utah is an efficient group on both ends of the court that has size, an elite big man and a veteran core. It lost to eventual national champion Duke in the Sweet 16 by six points last season with a very similar cast and it’ll enter this year’s NCAA tournament having won nine of its last 10 games. While Utah picked up wins over Arizona, California (twice), Duke, Texas Tech, USC, Colorado, Oregon State and Temple—all of whom are tournament teams—the Utes have struggled against the best of the best. If Utah manages to win its pod with games against Fresno State and Seton Hall/Gonzaga, which is no guarantee given Seton Hall’s recent surge and Gonzaga’s dynamic frontcourt, a potential Sweet 16 matchup against Michigan State looms. And the Spartans, winners of 13 of their 14 games since Jan. 23, are one of the best teams in the country. Utah’s most glaring defensive deficiencies are its inability to force turnovers (15.2% turnover rate, 327th nationally) and three-point defense (36.8%, 284th nationally), which is a bad combination if opponents can both take care of the ball and convert from deep. A hot shooting night from Seton Hall’s trio of Isaiah Whitehead, Khadeen Carrington and Desi Rodriguez or Michigan State’s Denzel Valentine, Eron Harris and Bryn Forbes could put the nail in the coffin of Utah’s season. SI prediction: Beat No. 14 Fresno State in the first round, beat No. 11 Gonzaga in the second round, lose to No. 2 Michigan State in the Sweet 16.